Bobby and I met through a mutual friend at a BBQ. Sparks flew immediately once we started talking and a little over two years later on my 30th birthday he proposed in our home that’d he spent all day decorating with twinkling lights, rose pedals and candles. 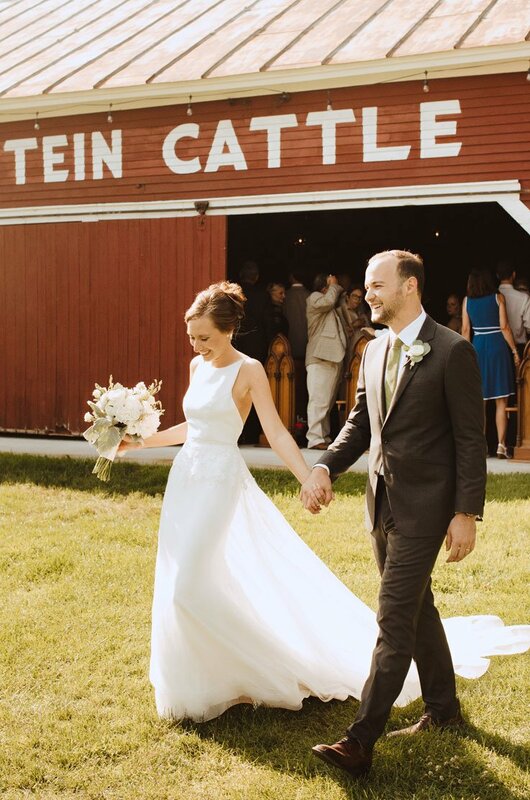 When I started shopping for wedding dresses I had NO idea what I wanted so I tried everything; strapless, lace, ball gown, A-line, mermaid…but nothing seemed to be clicking. On my 3rd shopping trip, feeling slightly discouraged that I still hadn’t found my dress, I decided I wanted to try something very simple and see how I felt. When I put on the Mikaella gown, the Crêpe material felt so comfortable I couldn’t wait to step out and see it in front of a mirror. While I loved the dress as it was, my Mother had asked if there was a way to make it feel more “bridal” for the ceremony. With that, my consultant got a flash of brilliance and grabbed the overskirt from another Mikaella style and a “new dress” was born! From that day on I had my dream dress. 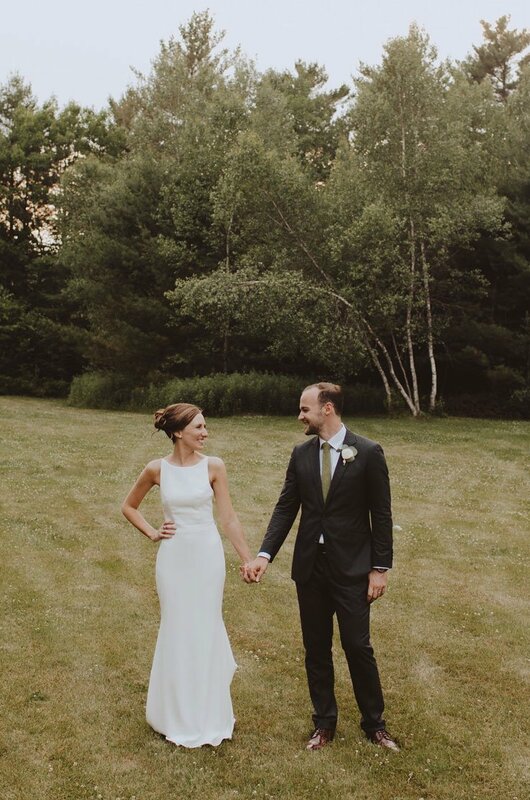 I hadn’t told my husband that the skirt was removable so it was a nice “2nd first look” before our reception entrance. 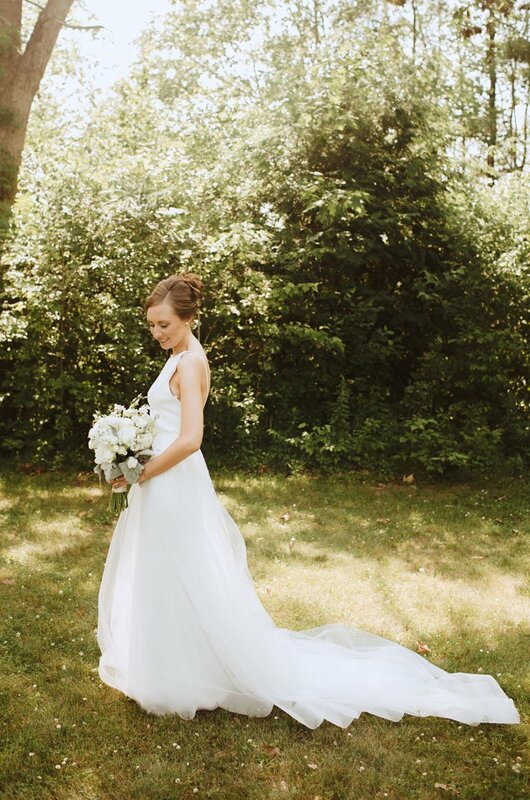 My guests were also wowed by the transformation and I felt so beautiful in my dress all day!